The Tie Breaker Shark is not a Stocking Item. 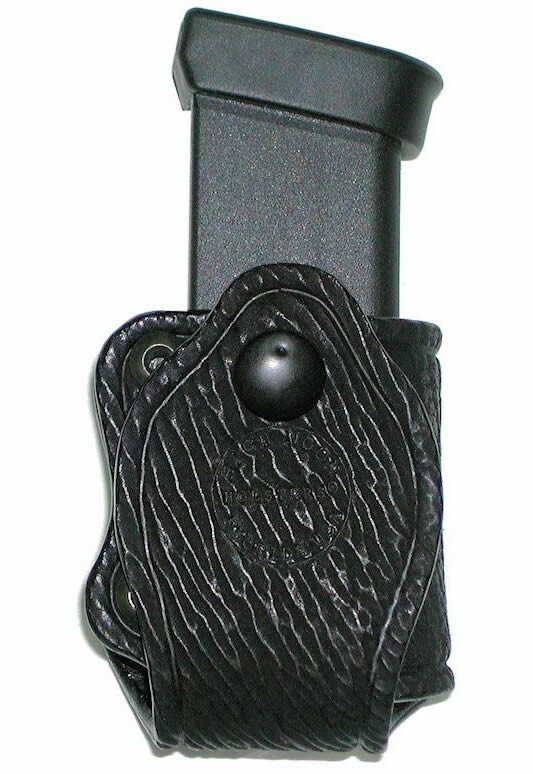 This exceptional single magazine carrier is made from the highest quality of shark skin. Tie Breaker Shark is as compact as a magazine carrier can be and has potential for a rapid reload if needed. Light weight and comfortable it features double tension screws for adjustment of the draw and a pull the dot snap for added security. These are one way snaps and will only snap on and off when pulled in a specific direction. These snaps are used for additional security, when it is imperative that the snap not come undone. The Tie Breaker is not molded to the exact magazines by design. It is made to fit Single Column and Staggered Magazines. 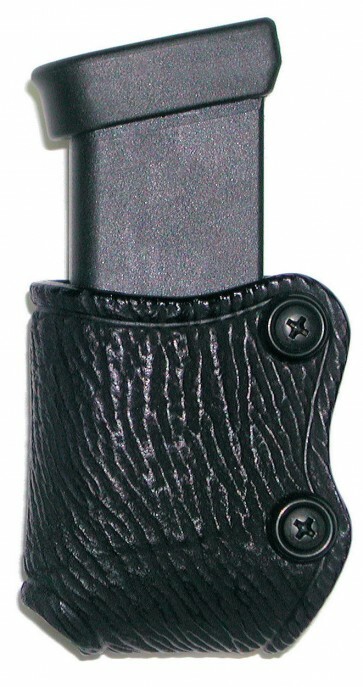 Made to fit up to a 1-3/4” belt (1-1/2″ is optimum) and is available in the best shark skin on the market.